The Chamber mission is guided by a twenty-one member volunteer Board of Directors and facilitated by the Chamber staff. The Chamber works through three major divisions or focus areas, with committees and task forces being established as needed. Membership in the Greater Iberia Chamber of Commerce allows representatives of member businesses to participate in Division discussion, exchanging insights and concerns regarding various legislative and regulatory issues. The Division discussions support the Chamber work in developing position statements and advocating on behalf of members. 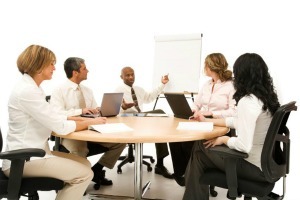 Committees are established for work of more specific and finite nature. The World Championship Gumbo Cook-Off is implemented by volunteer committees, as is, the Chamber's Annual Banquet/Meeting. The Executive Committee of the Board of Directors is the central hub for guiding the Chamber's annual plan of work. Responsible for monitoring all related actions taken by local, state, and federal bodies that could have either a positive or negative impact on the business community in Iberia Parish. The committee is charged with developing positions on issues that include an unbiased review of both sides of an issue and verification that the issue is consistent with the mission, vision, and policy principles of the Greater Iberia Chamber of Commerce. All board members shall be invited to Public Policy/Legislative Standing Committee meetings. Members may serve on this committee with committee voting privileges. Sub-committees may be established within this committee. The Marketing Committee is being re-aligned from the previously being referred to as the Membership Development Committee. The purpose of this committee is to insure that the Chamber's membership is being retained and growing. Activities may include membership initiatives such as new member drives, better articulation of Chamber value to members, improved support of current members, etc. This committee works with staff to plan, promote, and implement the annual banquet. including promoting interest in awards that are presented at the banquet. This committee works with staff to plan, promote, implement and recover from the gumbo cook off event. The committee recommends event format, bands, fees, and overall budget to the full Chamber Board. This committee works with staff on event layout, volunteer needs throughout the weekend. event bank, and chef's meeting agenda, etc. Purpose of event- promote local shopping while at the same time creating a low cost activity for families during the holiday season. Building a culture of local shoppers. Tasks include enlisting local businesses and providing them with ideas of activities, promoting to families, creating documents that makes the logistics of the event easy for families. Yearly one-day women's empowerment/leadership event. The Greater Iberia Chamber of Commerce facilitates a community-wide initiative, Operation Progress, which is comprised of a diverse group of stakeholders who are taking responsibility for improving neighborhood development, the education system, community amenities, local infrastructure, etc.